Freelance writer. Melbourne based cinephile. Fond of food. One thing that Melbourne does well is offer surprising delights down unlikely lane ways. There is no better example of this than First Pour, which gets my personal vote for best coffee in the land. First Pour is inconspicuously tucked into Bond Street, an industrial back road in Abbotsford that you would normally only go down if you worked at the Carlton Brewery. Perhaps these wickedly talented coffee makers knew that they would be overrun with an unmanageably massive clientele should they be exposed to the general public. As it is, despite their secluded location, they haven't escaped a steady flow of caffeine aficionados. It's all about the coffee at First Pour. The three blends of Veneziano on offer are the centrepiece. Sure there are pastries, but the range of old favourites that include croissants (plain and almond), donuts, danishes and cookies, bow to the bean and seem to owe their very presence to their high coffee compatibility ratio. 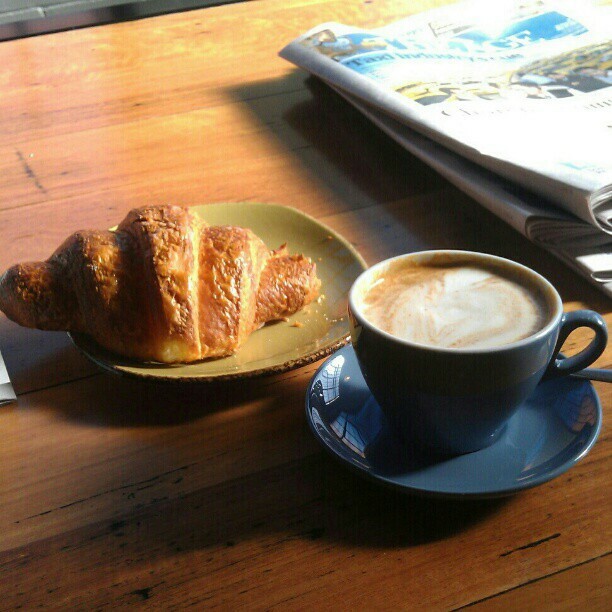 Unlike the street outside, the interiors of First Pour are warmly inviting, with a nice range of coffee products for sale along the converted warehouse walls. 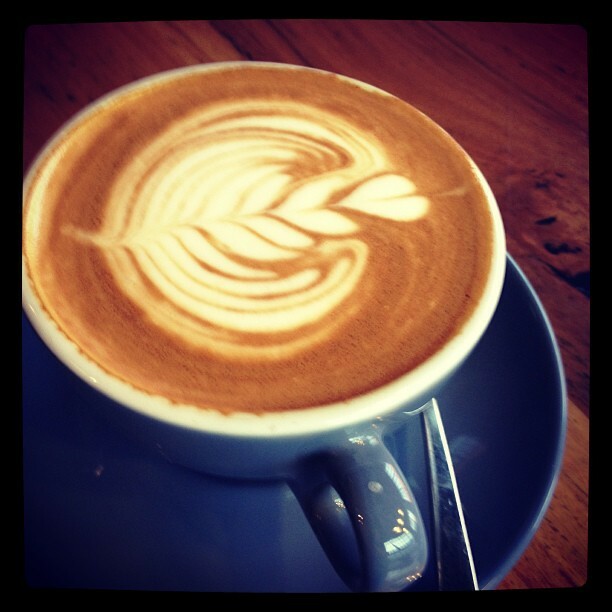 The folk at First Pour take their coffee very seriously, and each cup is made with care and great skill. Their crew includes the Australian Latte Art Champion 2013, and Veneziano Managing Director, Craig Dickson, is the only Australian currently certified as a World Coffee Judge. 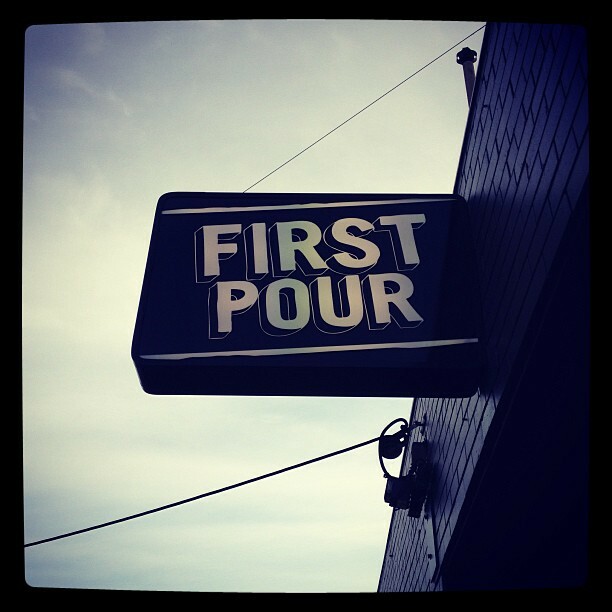 If you care about the quality of your coffee, you owe it to yourself to try First Pour.